Place the zip file in folder /ibm/paw36. Copy the paw.env file from your current installation to the new installation location. Copy the /config/certs directory from your current installation to the new installation location. If you use SSL and have saved the certificate in the pa-workspace.pem file, you need to copy that from your current installation to the new installation location. If you have changed the old Start.sh file, you need to add the same values in the new Start.sh file. Press CTRL+O and click ENTER to save file. Change above path to your folder where DOCKER-COMPOSE is saved. to give all read access to the files. Enter “y” when you are prompted to install the Docker images. Enter “y” when you are prompted to open the administration tool. Inside the Planning Analytics Workspace administration tool, check that all URL to CA11 and TM1 are correct. Some Values need to be entered again in configuration tab, do it and save them. Wait until CPU is below 1%. NOTE: to prevent from having to many PAW folders, and make it hard to now what folder that is in use, do the opposite – rename the old folder /ibm/paw to /ibm/pawold. Create the new folder /ibm/paw. Copy the new zip file to that folder, and unpack it. Then copy the needed config files from /ibm/pawold to the /ibm/paw folder (as listed above). Then start the installation(upgrade) from /ibm/paw/Start.sh. How limit the login to Cognos Connection to only to groups in the LDAP (active directory)? Use the LDAP connector in Cognos Configuration, and limit the users to be able to login only if they belong to two CN. “External identity mapping” is only used when you use SSO from IIS, to login to the BI server (CA11). You should change this to cover the same groups as the other one to make it act the same if it is using SSO or not. In above lines, the user that is part of group Cognos_TM1_Contributor or Cognos_TM1_Modeler in LDAP, can login to Cognos. Good if you have a CA11 server setup, that only authenticate users that should use TM1(Planning Analytics 2.x). You have to change cn= and ou= values to match your LDAP setup. Base Distinguished Name, should be the root of the LDAP directory. 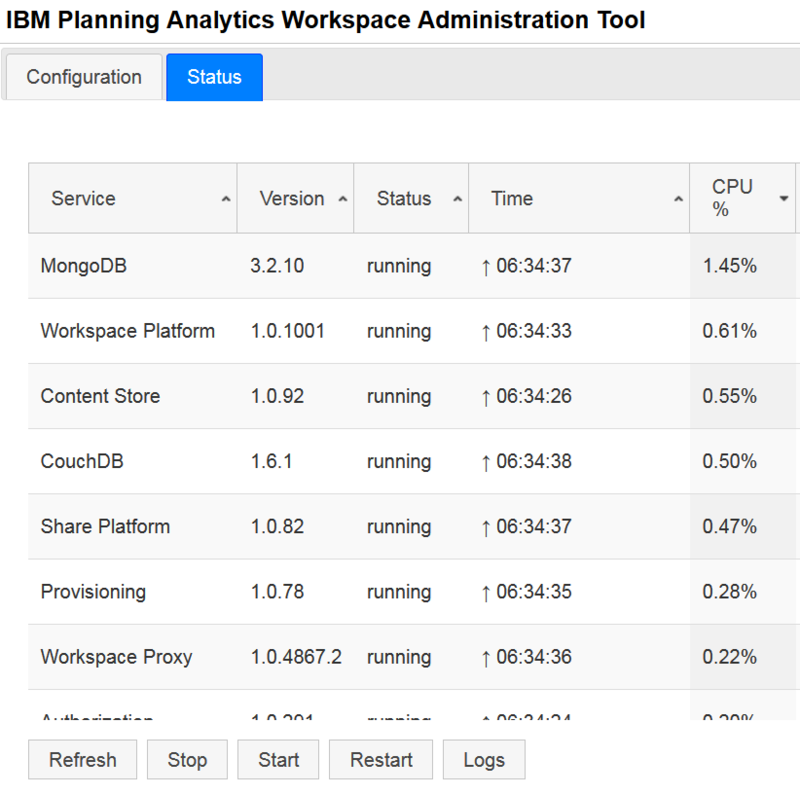 In every location where you installed Content Manager, open IBM Cognos Configuration. In the Explorer window, under Security, right-click Authentication, and then click New resource > Namespace. In the Type list, click the appropriate namespace and then click OK. The new authentication provider resource appears in the Explorer window, under the Authentication component. In the Properties window, for the Namespace ID property, specify a unique identifier for the namespace. Should be same as namespace name. Specify the values for all other required properties to ensure that IBM Cognos components can locate and use your existing authentication provider. If you want the LDAP authentication provider to bind to the directory server by using a specific Bind user DN and password when you perform searches, then specify these values. If no values are specified, the LDAP authentication provider binds as anonymous. If external identity mapping is enabled, Bind user DN and password are used for all LDAP access. If external identity mapping is not enabled, Bind user DN and password are used only when a search filter is specified for the User lookup property. In that case, when the user DN is established, subsequent requests to the LDAP server are run under the authentication context of the user. Ensure that Use external identity is set to False. Set Use bind credentials for search to True. Specify the user ID and password for Bind user DN and password. If you do not specify a user ID and password, and anonymous access is enabled, the search is done by using anonymous. Check the mapping settings for the required objects and attributes. Depending on the LDAP configuration, you may have to change some default values to ensure successful communication between IBM Cognos components and the LDAP server. LDAP attributes that are mapped to the Name property in Folder mappings, Group mappings, and Account mappings must be accessible to all authenticated users. In addition, the Name property must not be blank. From the File menu, click Save. Test the connection to a new namespace. In the Explorer window, under Authentication, right-click the new authentication resource and click Test. You are prompted to enter credentials for a user in the namespace to complete the test. 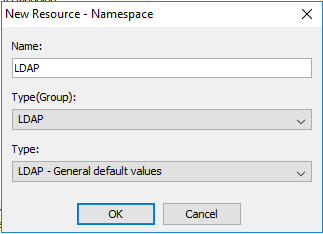 Depending on how your namespace is configured, you can enter either a valid user ID and password for a user in the namespace or the bind user DN and password. To bind a user to the LDAP server, the LDAP authentication provider must construct the distinguished name (DN). If the Use external identity property is set to True, it uses the External identity mapping property to try to resolve the user’s DN. If it cannot find the environment variable or the DN in the LDAP server, it attempts to use the User lookup property to construct the DN. You have no access to the paw, and a restart of the docker containers with command ./paw.sh stop and ./paw.sh did not help. If you click “validate” inside the Workspace administration page, you get Error getaddrinfo ENOTFOUND on all the server links. The proxy server could not handle the request GET. Login to the linux server with PUTTY. Try again after a few minutes. How change default folder for Image Picker in CA11? November 7, 2018 by Roger·Comments Off on How change default folder for Image Picker in CA11? When user create a new report and want to add a picture, the default folder is the old /samples/images, but in CA11 the new folder is /webcontent/bi/images in most cases. The default value of the Image picker tool in report studio of CA11, is stored in a JS file. Copy the file _WEK_async.js from the gateway server at c:\Program Files\ibm\cognos\analytics\webcontent\bi\pat\dialogs to your laptop. Change the first occurrence of “../sample/images/” to “../images/” and save the file. Start a new browser session from you laptop. Under internet options clear the cache and cookies, before you test again. Choose the blank Layout template. Expand to image tool on left side and double click it, to add it to the report. Double click the icon and the default folder should be ../images. 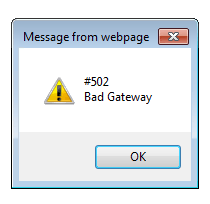 Go to the windows gateway server via RDP. Enter IISRESET to restart the IIS services. In future versions of CA11 this location of value is in a different file. You have to start a IE browser, hit F12 and select NETWORK and start to capture. Surf to your CA11 website and create a new report. Then when you open the image dialog, you will find in the first lines the file that it is using – in the list of files in the DEBUG IE Window. When open up the administration tab from Cognos connection in CA11. You click on the system link on the left in IBM Cognos Administration. You see only the spinning wheel and the text “Working…” for a long time…. Stop the IBM Cognos services, and start them in correct order slowly. To make sure that they come up correct. After a reboot the Cognos BI Service does not start. CFG-ERR-0103 Unable to start IBM Cognos service. Execution of the external process returns an error code value of ‘-1’. Error message in Windows services when starting is that the password is wrong. “Log on as a Service”. Add the Cognos windows service account back to the group. Expand Security settings – Local Policies – User Rights Assignment. Click on Log on as a service. Add your user, and click OK all the way. or you can enter the password again, then it will be automatically added to the group. After changing the IBM Cognos service to use a windows service account instead of local system, the Cognos Analytics service does not start. 15:42:12, CAF-WRN-0010 CAF input validation enabled. 15:42:12, CAF-WRN-0021 CAF Third Party XSS checking disabled. DPR-CMI-4006 Unable to determine the active Content Manager. Will retry periodically. Change the region settings on the server for the Service account to English (United States). The Oracle driver have a NLS setting in registry, the windows region setting need to match this value to make the Cognos service to start. Start REGEDIT and go to [HKEY_LOCAL_MACHINE\SOFTWARE\Oracle\KEY_OraClient12Home1] check there the value “NLS_LANG”=”AMERICAN_AMERICA.WE8MSWIN1252”.